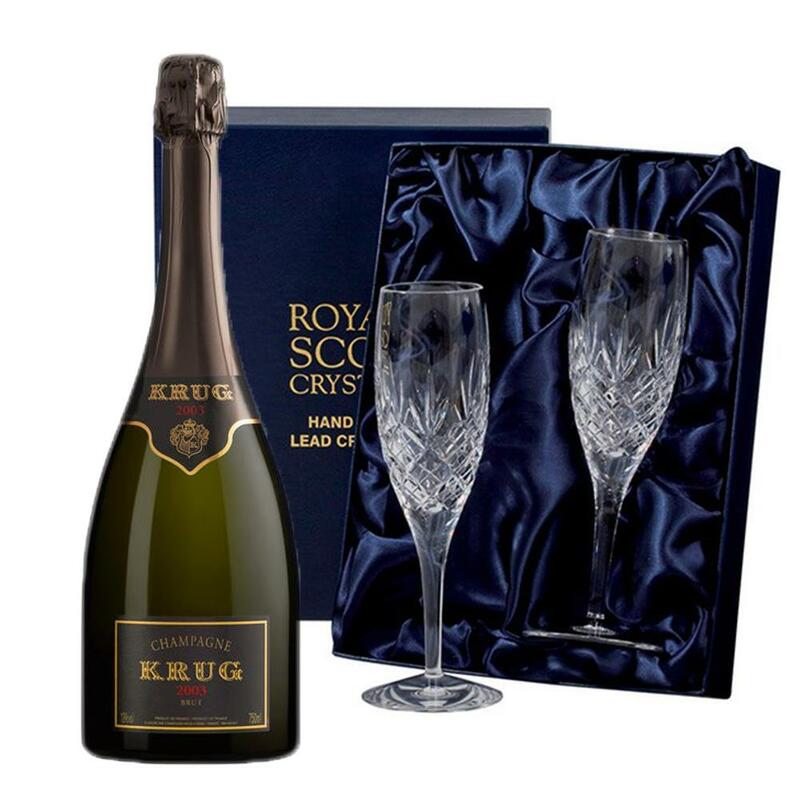 A bottle of Krug Prestige 2004 Vintage Champagne 75cl packed with 2 Royal Scot Presentation Boxed Edinburgh Champagne Flutes A pair of beautiful hand cut lead crystal Flutes, inspired by the great tradition of the City of Edinburgh. A City which has created a legend out of glass for over four centuries. At first sight, the beautiful light golden colour promises radiant freshness. The nose begins with an expressive bouquet of ginger, candied citrus and quince, followed by richer notes evoking lemon meringue tart, plum and mirabelle. On the palate, a very balanced Champagne with light notes of brioche and honey giving way to an array of fresh citrus, including oranges, lemons and mandarins, enhanced by a very elegant finish. This product is hand packed onsite by Champers Direct, and is not affiliated with any other brand. Champers Direct is responsible for this product combination/set.